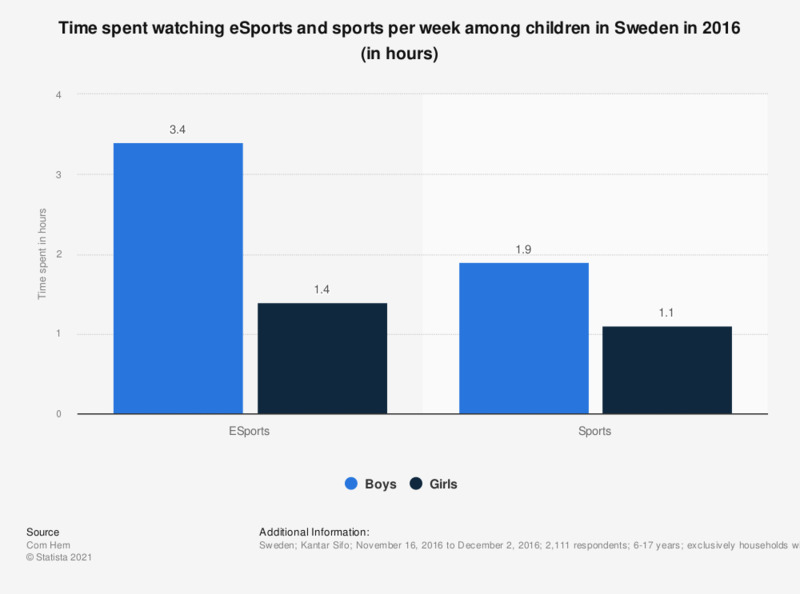 This statistic shows the time spent watching eSports and sports per week among children in Sweden in 2016. Swedish boys spent 3,4 hours per week on watching eSports games. This statistic is based on an online survey.